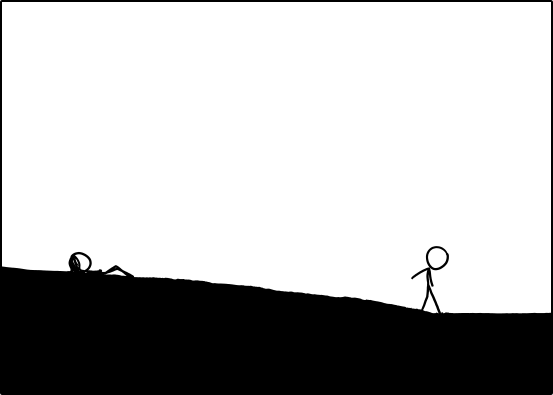 I have yet to laugh this hard at an xkcd strip. Wow, coming back to this thread feels like that bit in The Time Machine where he goes to the future and finds an insane new civilization. Maybe the slip-up was intentional. 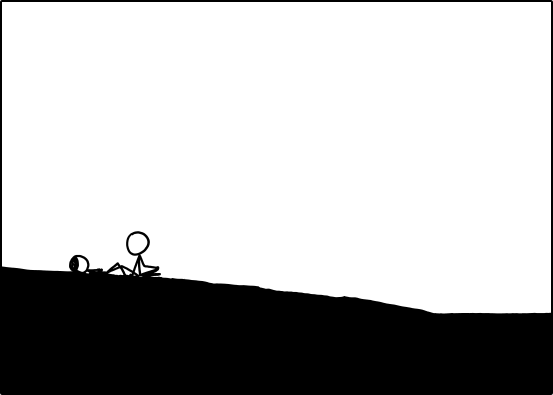 Kinda like how you can't REALLY see the future, but you can get glimpses of what might happen if the current chain of events continues? On 4/01, someone is going to come across him, stuck in the sandcastle, where he's been stuck for a week. I don't know WHY I laughed so hard at this, but I did. You have my permission to stop, since you've struck oil.